Laura Sobiech tells the amazing story of how God used her son’s battle with cancer to touch the lives of millions. This is what Laura Sobeich prayed when she found out her seventeen-year-old son had only one year to live. With this desperate prayer, she released her son to God’s will. At that point, Zach Sobiech was just another teenager battling cancer. When his mother told him to think about writing good-bye letters to family and friends, he decided instead to write songs. One of them, “Clouds,” captured hearts and changed not one life but millions, making him an international sensation. But Zach’s story is not just about music. It’s a testament to what can happen when you live as if each day might be your last. It’s a story about the human spirit. It’s about how God used a dying boy from a small town in Minnesota to touch the hearts of millions—including top executives in the music industry, major music artists, news anchors, talk show hosts, actors, priests and pastors, and school children across the globe. 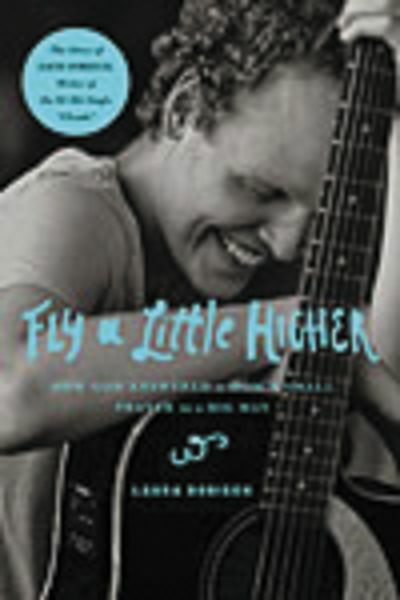 Zach once said, “I want to be known as the kid who went down fighting, and didn’t really lose.” Fly a Little Higher is about how God used Zach to do something big.